How many of you have ever visited a doctor’s office, either as a child or as a parent of a child and have picked up a Highlights magazine to browse? I remember reading them as a kid and even now as an adult, I’ll still pick one up just to check out those really fun hidden picture games. It was the best part of the magazine. Well now, you can check out those same puzzles on either your smartphone or tablet with the new Highlights Hidden Pictures Puzzles app. This is basically a digital version of the print puzzle game. You’re presented with a puzzle and a list of objects you have to find that are hidden in the picture. As you find these items, they are checked off from your list. The items aren’t terribly hard to find, as this is an app for children, but even I needed help on a couple items. For those hard to find items, you can easily use the help feature that will zero in on the area where the item is located. You still have to find it though. 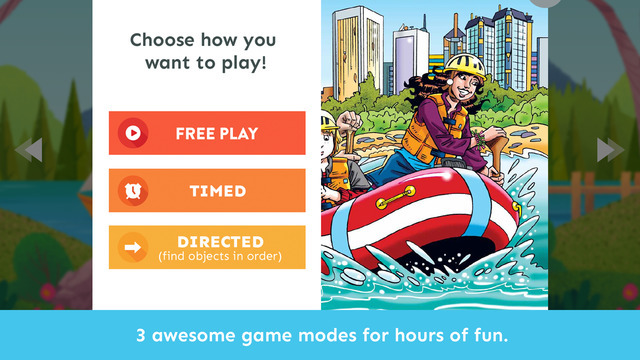 Each puzzle has three different modes of play. There’s free play, timed mode, and then directed mode which makes you find the objects in order. Whatever mode you decide to play, it’s fun either way. While the base download is free, you’ll have to pay a subscription fee ($2.99/month) to really make the most of it. Each month, you’ll get new puzzles delivered on the first Monday of that month as well as access to previous puzzles. If you don’t subscribe, you’ll be able to play 4 puzzles that are included and if you choose to do so, check out a 7-day free trial of what the subscription service is like. The app isn’t too bad though and it’s actually quite fun, even for me, but it’s entirely up to you if you think subscribing is worth it to you or not. With that said, if your kids like Highlights and the hidden puzzle games, you might want to check this out. 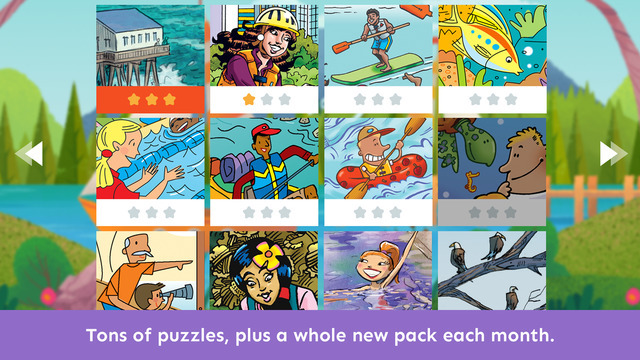 ALL NEW from Highlights – hours of Hidden Pictures™ puzzle solving fun. 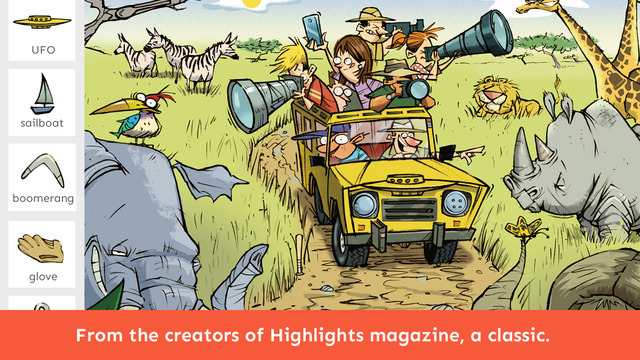 Classic Highlights Hidden Pictures® scenes have been reimagined for a whole new generation by Highlights for Children, the #1 children’s magazine in the United States. 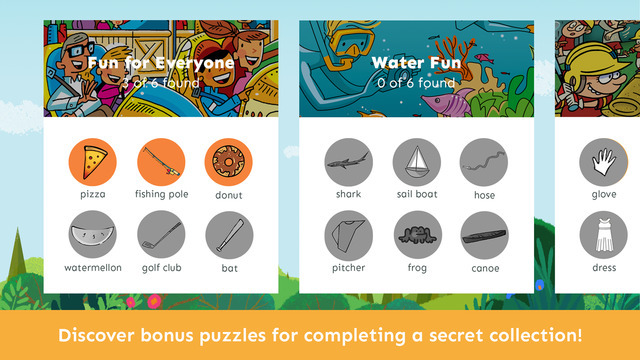 Both kids and grownups will find something fun in our new Hidden Pictures® Puzzles app. • A beautiful interface, fun and easy for kids to use. For more than 65 years, Highlights for Children has been a leader in kids’ educational games, helping kids become their best selves through Fun with a Purpose™ magazines, puzzle clubs, games, books, toys and digital products. Founded by Dr. Garry and Caroline Myers in 1946, Highlights was built on the belief that “Children Are the World’s Most Important People™.” Today, every Highlights product is designed to help children become creative, curious, caring and confident. 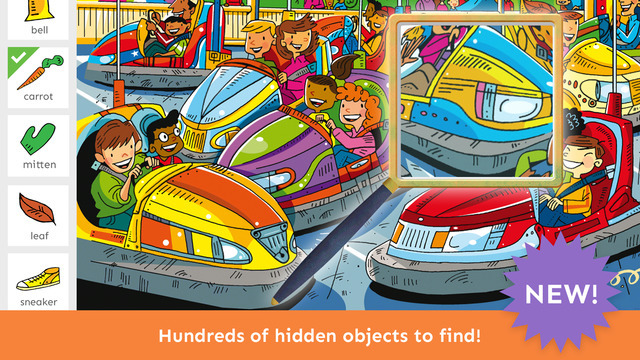 • Subscribe to Hidden Pictures® by Highlights Magazine and get 7-days Free, then only $2.99 per month for new puzzle packs and special content. • New content is delivered monthly, on the first Monday of each month. • The first payment will be charged to your iTunes account on the first day following your 7-day Free Trial Period, unless auto-renew is turned off at least 24-hours before the end of the Trial Period.